Throughout the 2016-17 academic year, we've gotten used to the leadership style of the current student senate body. 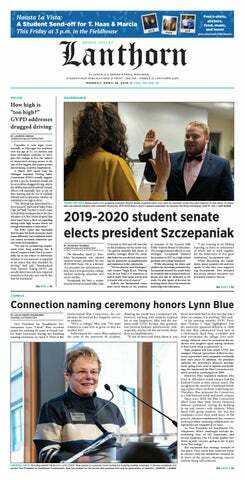 From resolutions passed to recommendations made for the university, this year's senate body has been busy making their time at Grand Valley State University count. Now, it's time to welcome a new cabinet and, ultimately, a new style of leadership. We want to encourage the newly-selected senate leadership to look at the work done by those before them and think of new ways to improve the university. As those involved with senate know, being in a student leadership position such as this is no easy task. However, if the near six hour meeting to select new student representation shows anything, it's that this new group is passionate about the work to be done and knows the work that this will entail. It can't be easy for just 50 people to represent the over 25,000 students here at GVSU. Our community and our university are all so unique. We all talk about that effect GVSU has on us, and it's important for us to maintain that and build upon it so future Lakers will have the same sense of pride and love for this place. In order for that to happen, it's especially important for those leadership qualities to come from students, and as the only student-governing body on campus, it starts with student senate. We hope they can build upon the transparency they have been trying to maintain throughout the year. We hope they can work with the campus climate results and keep making GVSU inclusive for everyone. We hope they take the work on sexual assault awareness and amp it up even more, letting everyone know it is on us as Lakers to prevent these situations from happening. We want to see more of the destigmatization of mental health and we hope to see the student body come together after a particularly divisive presidential election. These, of course, are not the only problems that will plague our university. As new situations happen—good and bad ones—we hope the people in these new positions will be able to handle it with a sense of leadership that will inspire every Laker to be a leader. As we welcome these new emerging leaders, we also prepare to welcome a new provost. Now more than ever, it's imperative that we have leaders in place who will place student needs and interests on the front burner. Having new faces is not a bad thing, but rather, a chance for a fresh approach to the way things are done.